Thank you for stopping by the blog and sharing a special day with me; today is my birthday! Birthdays are such a festive occasion. They are usually accompanied by some of life’s sweetest things: loved ones, cake, and presents. 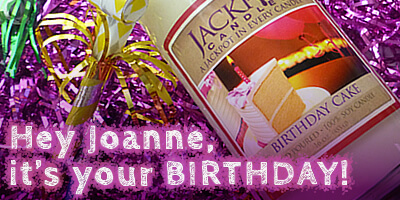 I received my first birthday gift this year from Jackpot Candles. This family-owned business is based in Buffalo, NY. They make candles and tarts right here in the USA. Each Jackpot Candle and package of Jackpot Tarts has a beautiful piece of jewelry inside. You could hit the jackpot and uncover jewelry worth up to $5,000. In honor of my special day, they sent me a Birthday Cake Jewelry Candle to review. 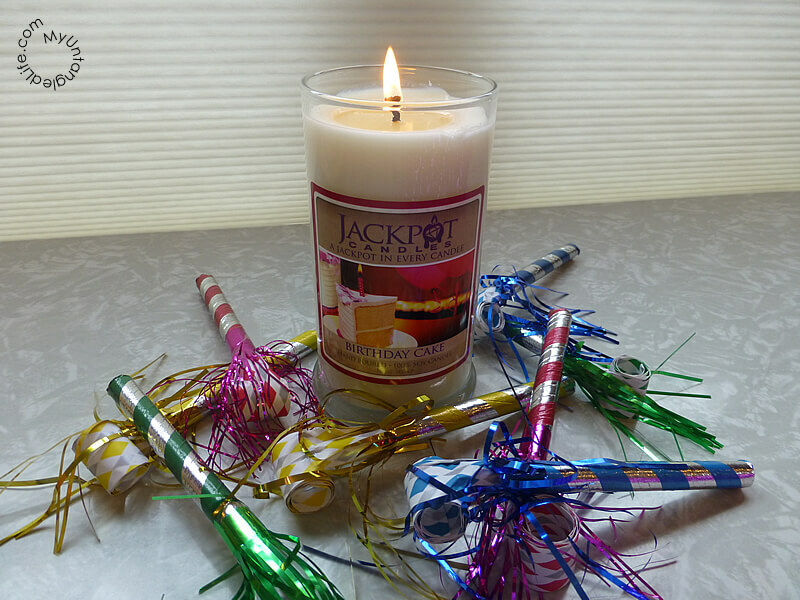 One unique thing about Jackpot Candles is that you get to pick the surprise jewelry item that comes inside your candle or package of tarts. 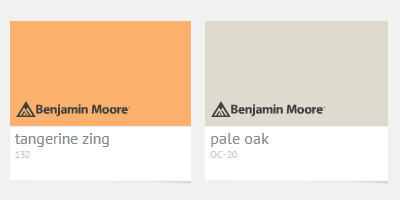 You can choose a necklace, pair of earrings, or ring. If you select a ring, you even get to specify the size. I chose to receive a necklace in my Jackpot Candle. The 100% premium natural soy candle arrived quickly and safely. A festive label helped get the birthday party started! I was excited to smell my Birthday Cake Jewelry Candle. Infused with essential oils, it filled my home with vanilla and sugar scents. 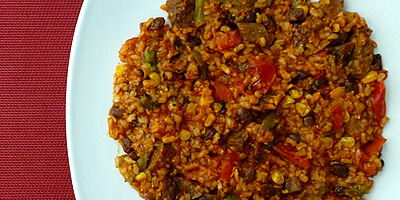 It smelled delicious, but it was not overpowering. Each time I lit the candle my excitement mounted knowing I had another present to come. Soon enough I spotted the glimmer of blue foil emerge from the wax. 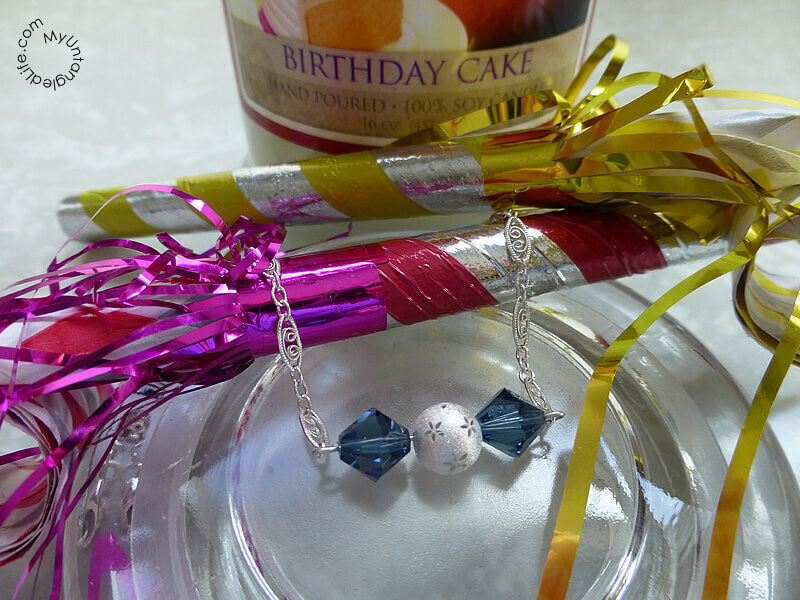 I discovered a pretty silver necklace adorned with two blue beads and one silver bead inside the foil wrap. The chain has a pretty swirl pattern, and the silver bead has a floral imprint. 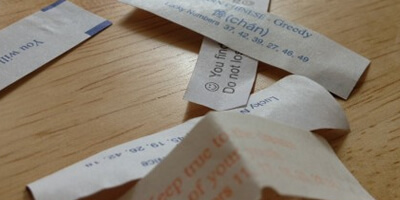 I found an appraisal code on a sticker attached to my necklace. I visited the Jackpot Candles appraisal page and entered the appraisal code. The following message popped up: Congratulations! Your jewelry value is $40.00. I couldn’t be happier with my Jackpot Candle experience. 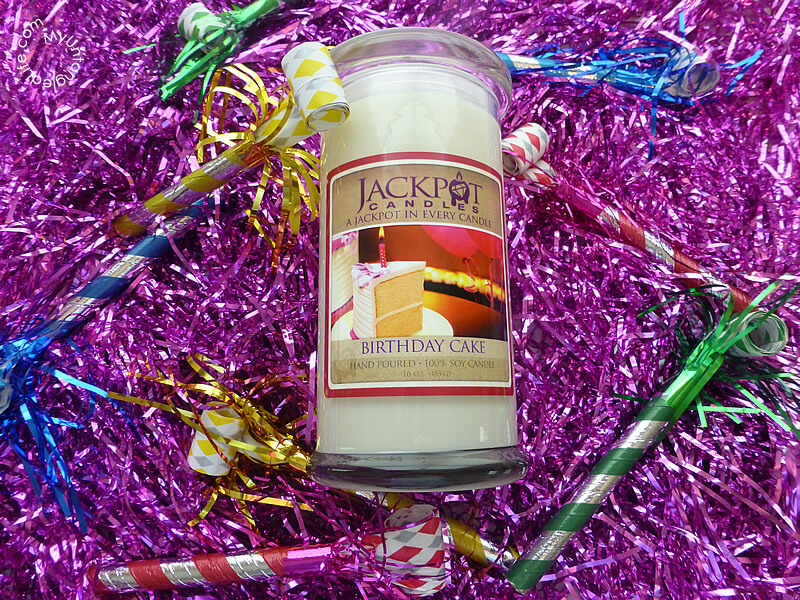 Jackpot Candles and Tarts are a great gift idea for all occasions: birthdays, graduations, holidays, and get well gifts. Mother’s Day will be here before you know it. I think the Lilac and Sweet Pea are nice scents for mom, grandma, or a mother-in-law gift. 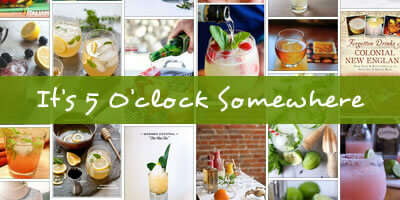 And, if you’re attending an upcoming Mother’s Day brunch, bring one for your hostess!